If you don’t have such a book list, it sure is a fun thought experiment. So, here are the 10 “best” books I’ve never read (yes, the word “best” takes on several different meanings over the course of this list). 10. Ulysses, by James Joyce — If I’m ever tempted to perform electroconvulsive therapy on myself, perhaps I’ll take a deep breath and read this book instead. It could be therapeutic, in a masochistic way. Or, if I’m ever tempted to read this book, perhaps I’ll take a deep breath and perform electroconvulsive therapy on myself instead. 9. Pride and Prejudice, by Jane Austen — In vain have I struggled, etc., etc. 8. The Twilight series, by Stephenie Meyer — I’m sure these are great books, but the people who really, really love them are…um…(if you can’t say something nice, don’t say anything at all). 7. Les Misérables, by Victor Hugo — I actually have no idea what this book is about. Strange, huh? I always assumed the title referred to those who are reading the book. 6. Midnight’s Children/The Satanic Verses, by Salman Rushdie — Anyone else hear “magical realism” and run screaming in the other direction faster than Usain Bolt with a cheetah taped to his back? No? Okay, then. 3. Atlas Shrugged, by Ayn Rand — I shall pursue my individual happiness, as is the only true and moral purpose in life, by never reading this book. 2. American Gods, by Neil Gaiman — People who love this book seem to be the same people who, when they were teenagers, earnestly thought that saying “naked lady” three times quickly would actually result in a naked lady appearing. 1. 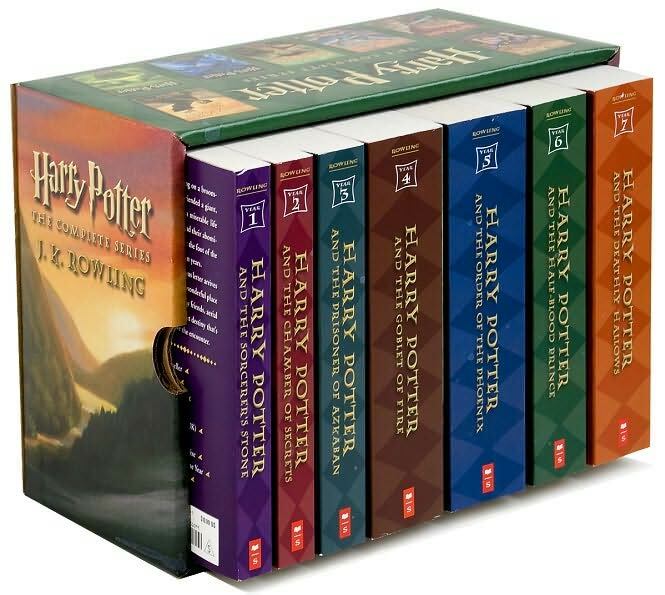 The Harry Potter series, by J.K. Rowling — *ducks* … Someday, I’ll read these — perhaps when news finally breaks that the 8th book is imminent. I've tried Ulysses a couple of times and have come to the conclusion that my life would not be richer if I actually figure out a way to read this book. I abandoned Atlas Shrugged 1/3 into it, and have never regretted the decision to jump ship. I'm in the double-digits on P&P, but your comment made me laugh! I will read Les Mis someday soon, but Twilight is not on my list. 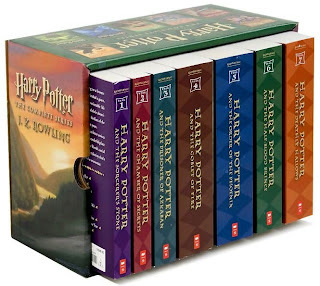 Will reread HP someday. Oh, man, Naked Lunch. I am currently reading it. Sometimes it is fascinating, sometimes it is unbearable. It's an experience anyway. I haven't read HP either. Ha ha ;) Fab list! I picked up Atlas Shrugged at a library sale for a quarter or some such price. Guess what? I never read it and I just donated it BACK to the library used book sale room. I don't know why I bought it in the first place. I'm reading Les Miserables right now and it is definitely worth taking your time with(I recommend the Norman Denny translation,he really makes Hugo's prose quickly readable)and some of the other entries on your list I have read and not read. In the Not Read category,Ulysses is a tough nut to crack,Naked Lunch I saw the movie version and it was enough for me and Rushdie just doesn't speak to me. In the Read section,Atlas Shrugged I read in my teens(and The Fountainhead is the better book in terms of story,imo) but P&P I read as an adult and appreciated all the more. A few of those are on my list, but I make it a little worse by attaching "...even though I own them" to the end. Womp. I'm currently reading Ulysses and have somehow made it to the last 80 pages. Though I've liked a fair deal of it, there's enough of it that feels, indeed, masochistic, to where I would never outright recommend it to anyone. Midnight's Children, on the other hand, I greatly enjoyed. Easily one of the best ten books I've ever read. The Satanic Verses is pretty good until it turns into an anti-Thatcher screed. Oh no, not my beloved Pride & Prejudice on this list! I'm working on Les Mis right now, though, and am inclined to agree with your assessment. Having reached the half way point I'm hell bent to beat this one. Also just finished another Rushdie and cannot for the life of me figure out what the moral of the story was. I've never understood the love for Naked Lunch. I'm with you on magical realism. Whenever magical real things happen, my mind starts to wander.